As a way of recognising people who are making contributions to the TEDx community, I’m taking the time to interview people who have taken action, or had a role, big or small. 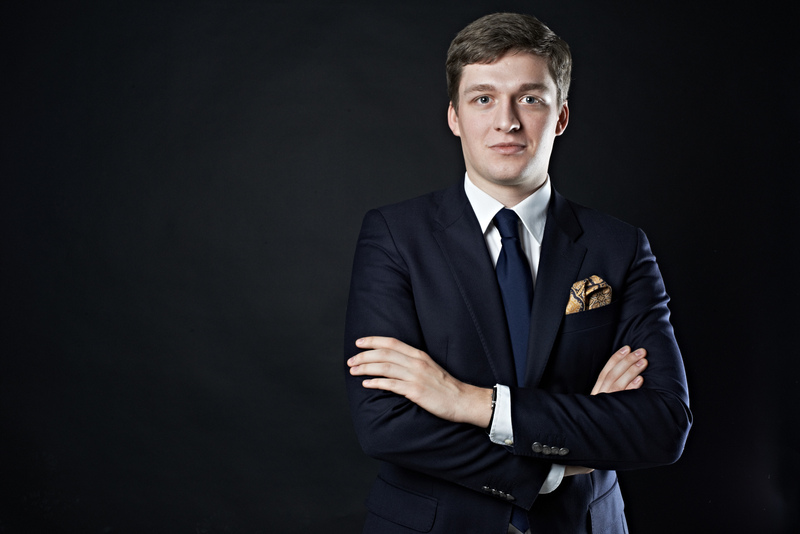 Mateusz Nowak was nominated by Ralph Talmont TEDxWarsaw Curator. Despite his busy workload, Mateusz took the time and trouble to answer my questions. Please introduce yourself, who are you, what do you do and where are you from ? An elevator pitch for me? I guess I’m a social activist and finance guy who always looks for inspiration and people to learn from. Though an obituary would more look like: Born in the Northern Tri-City, Warsaw School of Economics alumni and management consultant by trade. Passionate about aquatic sports, Oxford debates, travel and social entrepreneurship. How did I learn about TED? It was my second year of studies when my friend, who at the time was a neurocognitive major student, entered a room and asked: “do you know what TED is?”. From that day, I started my day for the following 3 years or so with a breakfast and a TED talk. Why did you decide to get involved? I went to the first TEDxWarsaw as a participant and during lunch with complete strangers I reached a point in a heated discussion, that I wanted to pause, pause for long. It was my first of many TEDx zen moments. I had this lunch among others with Patryk, with whom we are working on TEDxWarsaw team now. what was the most unexpected outcome? I have met my mentor, who coached me for years to come. What are you most proud of? That despite quite a successful road so far all of the organizers stayed friends and team churn was very small. How would you describe your role? It changed over time, from afterparty organiser to one of the core team leaders. In fact, my role these days is all about enabling other team members and sharing the best practices from last 5 years. TEDx is very entrepreneurial, so any stiff structure would be a mistake and would make the community bored as too few new ideas would flow around. What tips would you give about Speaker selection? Have a varied core team of people, who will do the picking and have a trust in them to pick up a few interesting people from their domain. If they are true experts in their fields they will know the right people for the lineup. There has to be a curator of course, to make the right connections and trim the choices, but it’ll influence only 20% of the speakers. To tell you the truth I disagree with circa 30% of choices for the lineup, but having trust in the rest of the team and their insights I agree to their speaker choices being on stage for the benefit of community. How do you aim to build a sense of community and loyalty among team members ? Making sure that everyone in the team has fun doing TEDxWarsaw and being truthful all the way, no matter if we have ups or downs. I don’t know how we do that, there is no recipe here I suppose. What are the biggest elements of the workload that are not visible to outsiders? Speaker scouting and talk preparations – scouting is ongoing throughout the year and direct work with speakers takes over 2 months of intensive contact, polishing the idea worth spreading, building up the storyline and polishing public speaking skills. What sort of practical support do you get from TED.com? Very limited. There are guidelines to follow, but we treat them rather as licence limitations, than as support. What do you say when you meet someone who hasn’t heard of TED.com or TEDx? I bring up a topic of one or two TED talks, but nothing else, no nagging etc. It’s a journey that everyone has to take for oneself. How do you persuade people to speak? It all depends on whether they know about TED. If yes, then it’s plain and easy. We invite, they say yes. If not, we explain, and we wait for the answer. We do little convincing, because to endure the long and painful preparation process our potential speakers need to have quite an amount of inner motivation. What do you say when people tell you they want to speak on TED.com? It never happened. Some people approach me to speak at TEDxWarsaw, I always listen to them, but rarely put forward to the team. Most of people want to sell something more than a pure idea from the stage. What’s your funniest TEDx experience that happened? Last Christmas the team got together and we baked some cookies for a meeting and as hours passed by the shapes of our cookies were increasingly weird and making thereof was increasingly fun. How did you feel when you woke up the morning of your first event/and when it was all over? Exhausted, but whole. A sense of fulfilment. I have no others words to depict it. What would you say to anyone who is considering getting involved in TED or TEDx ? You either do it 100% or don’t do it at all. Being a volunteer doesn’t mean you can do it unprofessionally. If you however do it right, it will be a truly transformational experience. You’ll learn a lot, you’ll meet awesome personalities. What funny interesting and/or strange facts can you tell us about yourself than most people don’t know about? Besides my MA in finance and my pending MA in management I took up violin lessons at age of 21 and had a brief moment at physics department at Warsaw University. 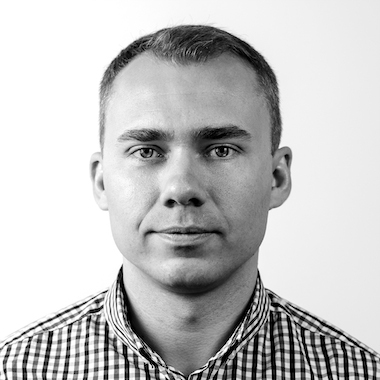 My name is Marcin Szeląg, I’m a Partner at Innovation Nest – an early stage VC fund focused on SaaS. My main area of expertise is online marketing and sales in SaaS and eCommerce. I am based in Kraków. 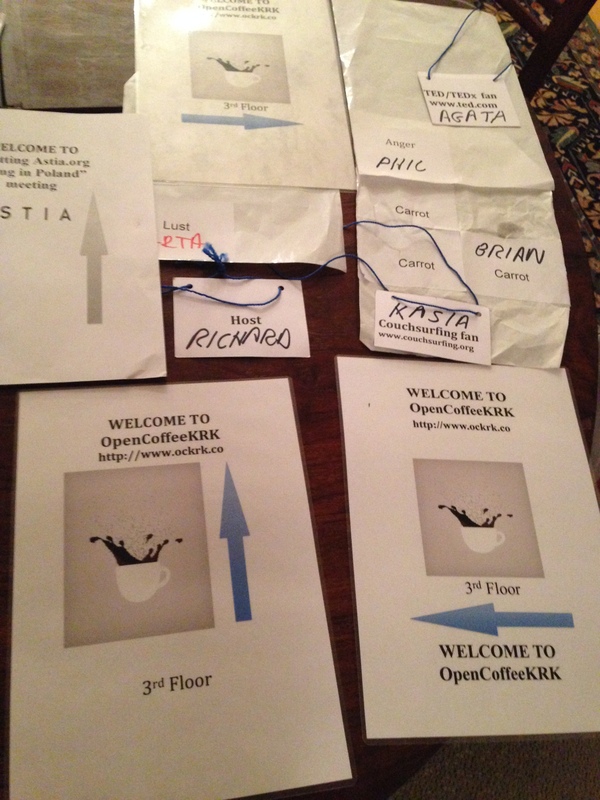 When did you first hear about Open Coffee Krakow ? Why did you get involved in Open Coffee Krakow related activities. What is your primary motivation? I liked the idea. Being an investor always looking for new opportunities to invest, my main motivation was to meet new startups/founders. too many to remember. I am a regular at Open Coffee. 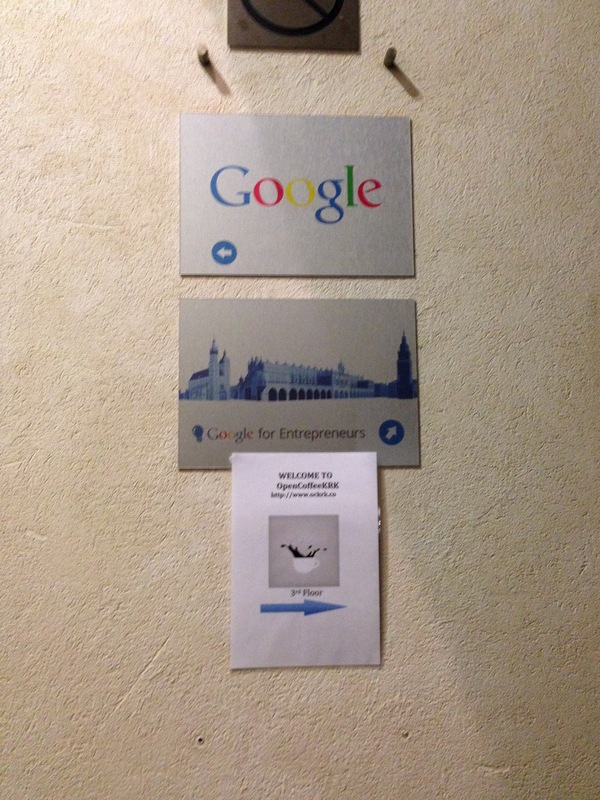 Innovation Nest is one of the sponsors of Open Coffee. I like the whole idea of starting the day with an open meeting where you can meet new people. It is also a great motivator to get up early in the morning. What I like the most about Open Coffee is that is very viral and it constantly attracts new people.You can always meet new people. The pitch by Maciek at przedszkolowo. Is there anything you’ed like to happen at OCKRK? if we could change something what would it be ? There is nothing that comes to my mind. It is fine the way it is. What do you say when you meet someone who hasn’t heard of OCKRK to encourage them to come.What would you say to someone who is considering getting up early in the morning so that they can come to an OCKRK meeting? I would say that if you are new to the startup community, Open Coffee is a great place to start meeting people in this community. What funny interesting and/or strange facts can you tell us about yourself than most people don’t know about ? I used to live in Australia for more than six years. This time has shaped my character in a way that most of the time I am relaxed and it is really hard to get me stressed out. It is something I adopted from the Aussie culture. I hope I will be working less and travelling more. As for Open Coffee, I hope there will be many more people attending. “TED meetings have a revivalist feel, from the preacher’s promises of salvation to the happy-clappy congregation.” I’ve been to many, and nothing remotely reminds me of the lunacy of Happy Clap religion. Indeed TED has a strong, public, (and enforced) stand against Bad Science and gave the platform to Ben Goldacre for example. Exactly how many TED and TEDx events have you been to? and/or how many of the people who told you that the atmosphere was like a fundamentalist church have attended enough events to justify the assertion? This is not true. “A striking number” suggests a lot. The only TED talk that I can think of that actually says something like this is the excellent, and researched “secrets of success” by Richard st John… and there is nothing wrong with his message at all. Most of the TED talks I can think use the language of reasoned debate. How many of the 1000s of TED talks transcripts did you or The Economist fact checkers review before making this assertion? If you can quote cite 30 or 40 quotations – (the transcripts are all on line) or even 20 that is less than 4%. I don’t think you will be able to, and even if you can is that really enough to merit the label “a striking number” ? You don’t present any evidence for your claims about TED “The ultimate secret of TED’s success is not its commitment to disruptive innovation but its ability to repackage old-time religion for the digital age.” It’s absolutely not true based on my contacts with TEDsters and TEDx-ers from all over the world. Some TEDsters are religious, for example Billy Graham and Karen Armstrong got the stage – but by far the majority are positive, progressive, modern minded people. The fact that most are more interested in ideas than average mean that they have more in common with Economist readers than revivalists. It’s abusing language to paint TEDsters and TEDx-ers in these colours, and completely unfair. Finally, your remarks about Chris Anderson’s childhood are offensive. It is as if I looked into your childhood, found out something about your background or parents and used that digging to challenge your views. Chris Anderson’s childhood has no relevance to the reasons why for many millions TED and TEDx make a powerful and positive difference. As one of the few remaining print magazines of any significance, you as an individual and The Economist have a responsibility for the words you write and print. TED.com may have more traffic than The Economist but The Economist is still important. Responsibility means that you should respond. I’ll publish whatever you write in full. Richard Lucas is a British entrepreneur who has lived and done business in Poland for more than 20 years. 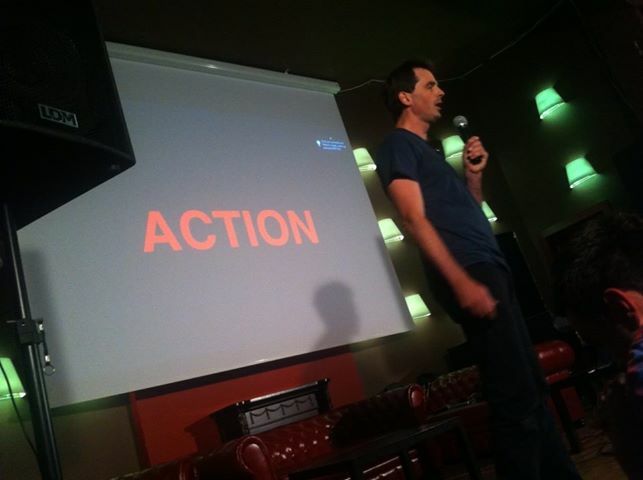 You may also know him as an angel investor, who has helped develop many of the hottest startups in Krakow. Or as a community activist, spending a lot of his time building the local entrepreneurial scene and making it grow. Or as a founder of the “Wojtek the Soldier Bear” historical initiative. Recently, I had a chance to talk to him for a while, about how our country has changed in the last 20 years from the perspective of a businessman, about the role of the European Union in entrepreneurship, and about his ideological and political views. The interview took place just after the Krakspot organizational meeting, which Richard, of course, decided to help revive and bring back to its former glory as the best-known BarCamp in Krakow. When did you come to Poland and what did think of your perspective for doing business here back then? I came here in 1991, just after the end of communism, and at that time I really thought the perspective for business here was extremely different. Actually, no one knew what was going to happen in Poland. It was really crazy, especially the fact that nothing really worked. You couldn’t get a phone line or make a phone call, you couldn’t make a money transfer, you couldn’t pay customs, it felt like everything was impossible. When I say impossible, I’m exaggerating. It took two years to get three extra phone lines for our office on Stradom, four hours to get money out of the only bank with foreign currency bank accounts on Armii Krajowej, 18 hours in a queue to clear customs… if everything went right. So what has changed the most in the last 20 years? The law, the mentality or the people? It’s a really hard question. It’s difficult to say what has changed the most. Several fundamental things have changed. One of them is that Poland has stopped being a strange country and started to be a kind of normal country. Back then, Poland and all the other ex-communist countries seemed like you had arrived from a different planet, a completely different world. Now, even though for sure there are still some big problems in Poland, these are similar problems to the ones business people face everywhere. It’s a problem of how to find a customer, how to hire the right people, how to gain a competitive advantage. These are the challenges for businessmen and businesswomen everywhere in the world. So let’s say that Poland has become more normal as a country, but I think the mentality change is a real revolution. Polish people used to feel special due to Poland’s very difficult history and the feeling it was remarkable to survive that kind of history. Now Polish people are feeling special because they are beginning to realize they are capable of being internationally competitive, of doing well in Poland and in foreign countries. The third thing, which might not be so fashionable, is the European Union, which had an unbelievably positive impact on Polish people, successful Polish institutions, and successful Polish companies. Of course being part of an integrated European market is a challenge for the stupid, the lazy, the untalented, and the uncompetitive, but for those with a good future, it has been a tremendous opportunity. I am glad you mentioned European Union, because it is one of the subjects I wanted to touch on. A huge open market is one thing, but for example in the U.S. they would probably find it extremely strange to see a governmental institution investing billions of euro into the private sector. Do you think that, in the long run, it is healthy for entrepreneurship in Poland and in Europe? Firstly, I would challenge the idea of the European Union investing billions into enterprises. Sure, there have been some programs to help startups, but still they are not investing billions. Anyway, I think the startup support programs of the European Union are rather damaging, because they create a completely wrong idea of what it is to be an entrepreneur. And although I am trying to emphasize the good side of the European Union, there are many things to criticize. The EU has a talent for wasting money on stupid programs, but what is really important is they are investing in infrastructure and in the transfer of resources. There are hundreds of programs to improve water quality, to improve the roads, to improve the drainage, to improve the environment. These things are undoubtedly good. And America also has transfers of federal resources to regions, to improve infrastructure. The fact that the EU spends taxpayers’ money on stupid programs… well, most Americans will agree with you that’s also the case in the U.S. But the EU also gives Europeans a chance to compete with America, because the European market is bigger than the American one. So if you are a competitive Greek, Portuguese, British, Irish, or Polish company, you have the largest market in the world on your doorstep. No customs barriers, so you can sell to guys in Spain, France, Czech Republic, and so on. That gives us a chance to compete with America, but I don’t think we can’t cooperate with America. America can be a market for our products, or a supplier of products. I do business with Americans, with Japanese, Germans, British, and I would do business with anyone who is ethical and has a quality product or service, I am not a nationalist. I am an internationalist. Internationalist? There are groups in Poland who would consider that left wing. Anyone who does know me a bit better would discover that I am anything but left wing. To say that if you are an internationalist or anti-nationalist, then it makes you left wing… I think it is a perverse, disgusting representation of what it means to be a free marketer and a liberal. I am British and am living a good life in Poland, so this right wing idea that Poland should be a nationalistic country seems abhorrent and disgusting to me. But that doesn’t make me a left winger. I believe in individual responsibility, I believe in hard work, free enterprise, and free trade. And I dislike nationalists. Well then, don’t you think it’s funny that we have a couple of groups in Poland that would consider themselves right wing, but economically, all of the parties in the Polish Parliament are socially-oriented? But he is not in the Parliament. Right, but when you are talking about politics, you are talking about ideas. And I am responsible for my ideas: I am strongly in favor of free individual rights, free market, and I feel absolutely fine in Poland. The great thing about Poland, unlike Putin’s Russia or Assad’s Syria, is that you can say what you like in this country. And is it difficult to be a businessman here? No. I think the challenges a businessman faces here are the same as everywhere. Of course we suffer a little bit from the bureaucratic state. For sure, I would love it if the government would try to benchmark its public administration against international best standards so it takes less time to register a car in Poland than in Singapore or Estonia, or it is easier to hire an employee than in Ireland, or America, or Australia. But still we are not dealing with Belarus or Ukraine, and we are lucky to be in Poland. There are many, many countries in the world, where they would swap passports with the Polish people if only just for the chance to be in the EU. In that case, do you think that in the foreseeable future we can expect a Polish startup to reach success on the scale of Rovio, Skype, or Spotify, or is it still too early for us? We can absolutely expect that. But I am a British businessmen doing business in Poland, employing people from the Balkans to do business with Brazilian people, so I actually find it very hard to define what it means to be a Polish business. This business is legally Polish, and yet most of the people in that project are not Polish. Having said that I see absolutely no reason why a company from Poland couldn’t be globally successful, but it is quite possible that the rapid growth will take place in America or Western Europe. Still, Europe as a whole is not good at founding global startups. Skype and a few others are only exceptions. Okay, to wrap it up: where would you like Poland to be, in terms of entrepreneurship, ten years from now, and what can we do to achieve that? I think that the entrepreneurial spirit is strong in Poland, but it is not distributed throughout society. What I would like is that every Polish mother, father, or young adult to think about their children and consider it as one of the options that their child might be an entrepreneur. Poland is not in a bad situation now, but we are far from achieving the goal that every Polish person would be proud of his or her child becoming an entrepreneur. I would like Poland to be one of the most pro-entrepreneurship countries in Europe. But for that we still have a long journey to go. There are countries like Finland that are still way ahead of us today. Myself, I am 47 years old and I have been promoting entrepreneurship for 24 years in Poland and I will keep at it till the day I die. This journey will never end, and I regard that as an individual responsibility. And everyone has this individual responsibility. Don’t rely on other people to educate your children to be entrepreneurs. It’s your responsibility. 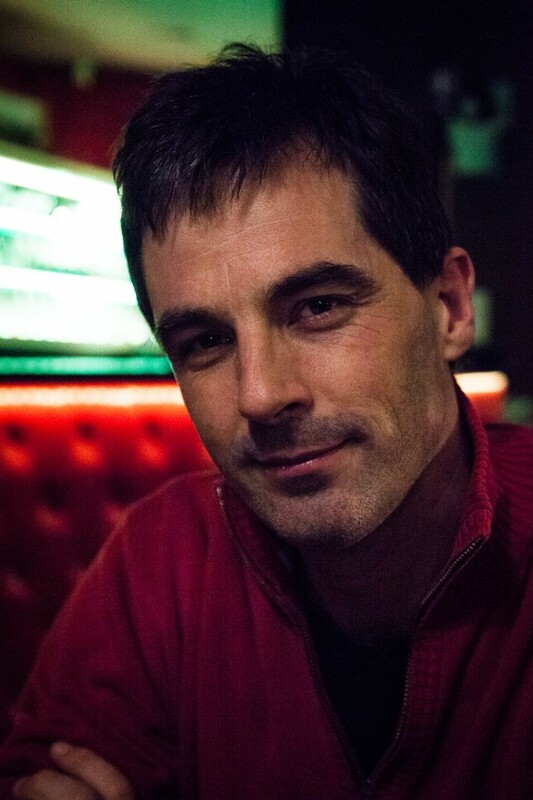 Richard Lucas has been living in Krakow for more than 20 years now. He is an entrepreneur, angel investor, and activist. Currently he is involved with some of the fastest-growing local startups. He is also a supporter of the TEDxKrakow, Open Coffee KRK, and Hive53 initiatives, among others, and founder of the “Wojtek the Solider Bear” historical awareness project. 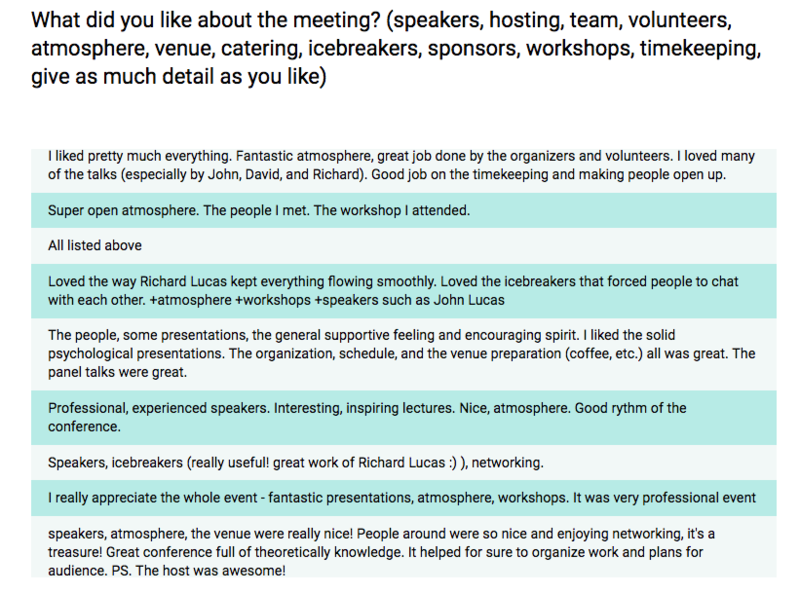 The ultimate goal of any event is that everyone who attended feel afterwards that it was really worth going, and they are genuinely pleased that they trusted the organisers with some of their precious time. A great way to improve the chances of making this true is to have well planned community building and integration so that even if some of your speakers or talks are less than perfect, at least people feel: “I was welcome. I met cool new people, I had fun, it was well organised”. I’ve seen a lot good, average and atrocious management at events I’ve either attended or helped host over the years. Interestingly sometimes despite very large budgets the user experience is dire, and at low budget events people feel great. Some great examples of good practice can be learned at TED and TEDx, and elsewhere. Although some of my examples are TEDx related, my experience stretches across a range of other events types and formats. Bad practice can give an insight into good. Let’s start with a description of “bad” practice from the point of view of someone attending an event for the first time – somebody who knows nobody, who had a reason for attending, but none the less has some trepidation about going to an event where they have no contacts or friends. Put yourself in their shoes. You arrive at the address you found on the internet/ Facebook, 15 minutes early, and spend 5 minutes trying to find out where in the building the event is actually taking place. There are no signs and the reception/porters have no idea what is going on. You find the event room. There are lots of roll ups from sponsors. No one welcomes you, and after lining up you are asked to fill in your details by hand – even though you already have them printed out on your registration form. You don’t get a badge with your name on it. No one introduces themselves to you, or attempts to make you feel welcome, or asks you why you came. Free high cost branded snacks and drinks do not compensate for the fact that no one seems to care about the fact that that you are there. There is no recycling bin. The organisers are happily talking to each other, and from time to time greet people they know already when they arrive. A projector displays a Windows home screen. Someone – you don’t know who – tells you to take a seat. You sit by yourself, and other attendees who have also followed the instruction also sit in silence, evenly spaced out, or with the people they came with. The result is that no one talks to anyone they don’t know. People do things with their smart phones or tablets. The front few rows are completely empty. Five minutes after advertised start time, someone else (who also doesn’t introduce themselves) says “we’ll wait a few more minutes for the late comers” and more silence prevails. 15 minutes after advertised start time, someone says, “we may as well get started” and things lumber into action. I don’t think it is acceptable for the person or people in charge of an event to let this happen. It’s wasteful and unimaginative. Running an event like this represents is a “Type Two error” which in accounting terms means “an error of missed opportunity”. It’s a waste of the potential energy and commitment of people who could contribute to your organisation and community. I’d go as far as to say it is disrespectful of the people who are attending. Good event design requires putting yourself in the position of an attendee. Make your target “a first time attendee who doesn’t know anyone”. If you treat the hour or more of their life they entrusted to you as precious, and ensure that they are treated with care, respect and thoughtfulness by the organisers, it will work all the better for those who are already at home. A welcoming attitude rubs off on everyone. The community building and welcoming aspects of the event should be given attention. Here’s what to do. 1. Volunteers Appeal for a group of volunteers, whose job it is to help with icebreakers & integration. Meet them before the event, agree how everything is going to work, and make the “pre-meeting meeting” fun. The more you and the team enjoy it, the more the atmosphere will rub off on the attendees. The point of the ice breakers is to facilitate the experience of meeting new people in a non-threatening interesting way. 2. Pre event Publicity Publicise that the icebreakers will start for example 30 mins before the main event in pre-event communication. Doing so makes the participation in the games more consensual, and when people arrive on time, they walk into a room buzzing with activity. Icebreakers take people out of their comfort zone and there will be resistance. The people who resist often are the ones who get most into it once it is under way. 3 Apply “design thinking”. Imagine the physical route someone who doesn’t know their way around the venue will take. Print enough signs/posters, with your logo, arrows, and “Welcome” and stick them up (remember to take tape/bluetack) making it easy for the new comers to find your room. Be nice to porters and receptionists – tell them about your event – and ask them to look out for people looking lost. They will appreciated being treated with respect too. Remember to remove the posters when you leave – it is not your venue – and again being respectful to the staff who work there sets a great example and it often noticed by other team members and attendees. Attention to detail, and showing that you care about your attendees’ welfare, sends a good subliminal message about the values of your event and organisation. 4 Badge people with their first names (simple labels and marker pens are enough) so that it is easy to figure out who you are talking to. You can write names on by hand. Also there is always an opportunity for an icebreaker game. If are using 8 labels to a page. Print each sheet with types of fish, animals, vegetables so you have 8 dogs, 8 sharks 8 carrots etc as as people arrive they get a random type of animal vegetable, on their name badge. Tell each shark, carrot etc they should find other sharks, and find a TED talk they both like. You can have prizes, make people act their animal types, and other silliness, depending on the degree of informality wanted and give prizes. If you expect 50 people you can have 8 labels of each type. Obviously the labels can match the theme of the meeting. For example if the theme is medicine then people can be labelled: antibiotic, aspirin, drugs, doctor, surgeon, nurse, hospital, blood, bone or whatever. 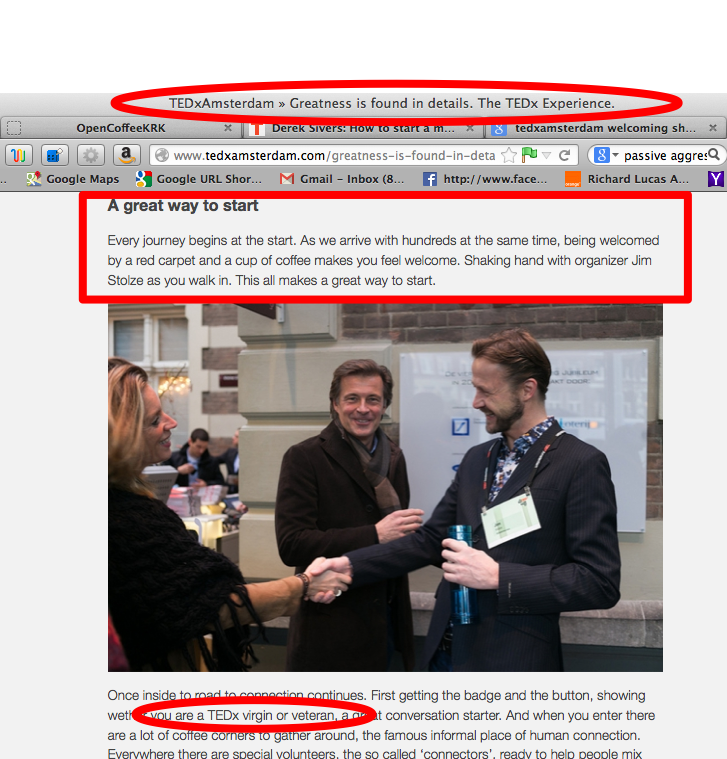 TEDxAmsterdam also also categorised badges into “TEDx Veteran” and “TEDx Virgin” which is also a conversation starter. In my view it is good to make the games light hearted.The goal is to make sure that people get to talk to people they don’t know so that they feel at home, part of the event and have a more interesting and pleasurable time. “But I don’t know these people” I protested. Tell all your volunteers to do it, and it will transform the event. – have you been to one of these events before? – do you know many people here? Whatever response they get from people arriving, be positive, and then – vitally – do the introduction to another attendee and then wander off. If people are very early you can ask them to do welcoming too. People like to be made to feel useful, and turning your attendees into welcomers guarantees they get to meet lots of people, and feel part of the event. 6 Print badges with “Volunteer” or “Hosts” on them. At TED Global there were quite a few “hosts” whose job it is to be helpful. It worked. Tell attendees at the beginning of the event that hosts/volunteers are there to be helpful. It shapes team expectations if you underline their job is to serve the community of attendees. Give the people who are helping you credit. They deserve it. Thank them from the stage and get the attendees to give them a round of applause. Not only does this increase their motivation, but reminds those who attended that work and effort went into the event. 8. Icebreaker games Icebreaker games require a bit of planning, The few simple steps and processes are important. Otherwise it can descend into chaos, and that can seem disrespectful of the attendees. You need to be able to get the activities under way as people arrive. At TEDxWarsaw Salon TEDxYouth@Krakow and The TED.com and TEDx Travel and Meetup Club a “speed dating” format was used which worked very well. People stood in circles of 10/one inner one outer and every minute the whistle blew and the outer circle had to move clockwise. The first group got underway when about 20 people had arrived. The task was simply for people to introduce themselves, and share what they liked about TED or how they had heard of TEDx. Topics to discuss can be varied to suit the theme/time of year (for example December/January is a good to discuss New Year resolutions). 9. Seating. it can be an idea to tape off the seating with “builders hazard tape” leaving only the first rows empty, and get attendees to fill rows from the front backwards. This is a lot nicer for the speaker, and if you want people to talk to each other, makes their natural tendency to not sit next to each other much harder. If you do this you need to make sure your volunteers are told and support this. 10. Feedback. Both during the meeting and after ask “What was good, what was bad, what can we improve?”. Encourage constructive criticism. Ask people to post feedback on your event wall. It lets everyone know that you are ambitious and want your event to get better over time. 11. When you are not in charge Even if you are speaking at an event where you are not in charge, where you don’t have the authority to manage the whole “welcoming format” as described above, you can still improve things a lot. Once I have my presentation set up – I ask people in the audience to start introducing themselves, and to explain why they have decided to attend, a good 10 minutes before the official start time. It can cause a bit of disruption but it is clearly a “good thing to do”. It wakes people up (no one is completely relaxed if they are about to say who they are in front of a large group of strangers), and it is interesting for the other participants. 12. Starting on time If I am speaking alone, I also refuse to start late. I ask the organisers, “why should I as a speaker, and people who have bothered to be on time, have their time wasted by the people who are late?”. It’s disrespectful. If they don’t like it, you won’t be invited back. 13. Community announcements I also encourage event organisers to allow short (no more than a minute) community announcements, if that meets the format & license. Sharing of projects and ideas is a “good thing’. People announce things online so much these days – but face to face is better. It also builds up soft linkages and relationships in your local community. If you let other positive people on your stage for a minute, it means you can expect the same in return. 14 Bloggers/Instagram/Tweeting If you have a blogger, ask them to record what goes on in the meeting and post the most interesting that happen as a blog post. Encourage attendees to use the event wall on Facebook as a place to post thoughts and comments so that community building can take place on line afterwards. If you are hosting an event somewhere which adds status, (a University, Google etc) snap a photo of your poster with their logo and upload it onto your event page via Instagram. It takes a few seconds and creates a record of your partnership for all the world to see (and reminds those who missed the event that they are missing it 🙂 ) Encourage Tweets with your hashtag for the same reason. Conclusions There is a lot you can do to make your events fun, welcoming and useful at almost no cost. If you can you should at least try. As a leader you should set an example, and make sure you support the people in your team who are to deliver on these topics. I’d love to get feedback from people who do want to have a go, and will gladly support to anyone who requests it. 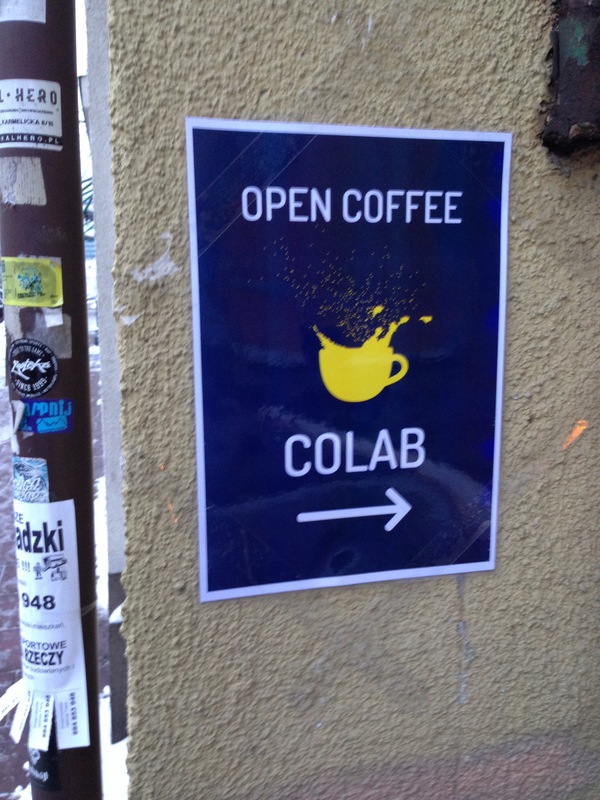 Anyone can check out Open Coffee Krakow an event where things work more or less as I believe they should. This month I was hosting the PAMI Conference in Krakow, Poland. The organisers – Marta Kuta and Mariusz Mrzygłód asked me not just to host but to advise them on facilitating a strong community and networking atmosphere at the event. They had attended events I was responsible for and wanted my advice. I’ve invested my “10,000 hours” into organising events over the decades – in my roles as a TEDx licence holder, the founder and leader of events like Open Coffee Krakow, Krakow Enterprise Mondays, Cambentrepreneurs, First Tuesday Krakow and many, many others. It was an interesting challenge and experiment to see how far my know-how was transferable. I’ve done workshops on Community Building at the TED Summit in Banff in 2016, and at an workshop for TEDx Organisers in 2017. But this was different – giving advice to people who then go away and later either implement it (or not), is one thing. Consulting to an event when you yourself are on the stage, helping the team leaders brief and train volunteers meant that I was in the front line. I believed I could make a difference, and during the event I felt that I did, but – as I say to entrepreneurs pitching me with their business ideas – what I felt doesn’t really matter. What really matters is what the users or clients have to say. It was great to see the feedback from participants at the event as below. For now, back to the original article. I have had a policy of not accepting “friend” requests and “Linkedin” connect requests from people I work with for a while.. it is nothing personal. I use FB to run global projects for volunteers like my Wojtek the Soldier Bear ( www.facebook.com/groups/wojtekthesoldierbear ) project and I always accept requests from people I can see are connected to this world.. It has the bizarre effect of me accepting people as friends I don’t know and not accepting/rejecting people I do know and like (if we work together) and people I know see me become “FB friends” and “Linkedin” conntacts with strangers when I am not accepting them. On top of this, I have mild prosopagnosia which means I often fail to recognise people who I know and completely forget who people are quite often. Sometimes I make an exception.. if we are working together on a project that uses FB as a tool….or there is some compelling reason to break the rule. If I don’t accept your friend request it doesn’t mean I don’t like you and if I have accepted a friend request doesn’t mean I that I know the person who I am “friends” with at all. The sparks of a revolution…. Yesterday evening he and a couple of his neighbours organised a small meeting in a church hall in Kliny South Krakow. It’s the beginning of something that has to be huge, our Polish equivalent of the Arab spring, lets called it the ‘blighted suburbia’ spring. We are not fighting dictatorship, we are fighting social disintegration, apathy and horrifying attitudes of the police. The original spark was Waldemar and Agata’s initiative to clean up the vulgar and obscene graffiti that blights their area, but read on what we heard at the meeting. Graffiti is the tip of the iceberg. An middle aged lady told us how when she reported how two school kids (13-14 year olds) tried to mug her in broad daylight the police suggested she not go out so much and/or not keep her documents in her handbag. She is scared to walk home. Another person she knows was sprayed with white paint by kids who just thought it was a reasonable way to entertain themselves. The police didn’t even visit the school where she thinks they attended. Two men described how the cellars of their block of flats have been taken over by teenage gangs and they and other people are so scared that they are considering moving out. There are two policeman and two Straż Miejską (community policeman) who haven’t done anything (to my knowledge). A psychologist is mobilizing students to come up with projects to help provide positive things for marginalized kids to do so it will not just be the “stick” of bringing digital vigilante practices to record and report anti social and criminal behaviour to the authorities, but also the “carrot” of offering people ladders up out of deprivation. Thanks to Waldemar a local parish councellor turned up. People from “Koduj dla polski” (also launched at TEDxKrakow) are working on a “see click fix” type App to help with reporting and mapping problems. I’ve posted here http://forum.kodujdlapolski.pl/ to help gather support. The good news is that people like Waldemar and Agata exist. They have had some success in mobilizing his local community to both integrate positively and fight back against criminality. There is some desire to change society for the better. Taking back the streets on behalf of the people, using new technologies to rebuilt broken communities and neighbourhoods, get the authorities working with the people on their real problems. I’d say these are ideas worth spreading. This post first appeared here as an article on Proseed Magazine in 2013. I have updated it since then, so this version is the best to read. I send this article to people who approach me asking for feedback, advice, mentoring and/or an investment. I also send a link to it when someone writes to me, saying “you ought to meet: or “can you help” ‘x’ who has a great business idea”, with the suggestion that they forward it to the person they want me to help. If you are ‘x’, and you don’t see why you should read on, feel free to stop now. Please do let the person who introduced us know that it was your decision not mine, so they don’t think that I am being unhelpful. because sometimes people approach me who do not want an investment. I may be able to help them anyway, and if I can, am usually glad to. Why do I request “pre-information”? I feel that if I am ready to give away my time, asking those who approach me to invest the time to pre-brief me is a good filter and fair. It shows they take my time seriously. While I enjoy hearing about business ideas, I prefer to know the stage people are at before meeting. I want the person to be properly prepared and to have done the “easy stuff” before we meet. People often want to chat before they have done basic Google searches on their potential competition, or figured out their planned business model. There is nothing wrong with this, but in this case I don’t want to set up a dedicated meeting or call. I don’t want to spend 30 minutes of a one hour meeting finding out information that I could pick up in 5 minutes reading a briefing document. If the idea is good then the extra time during the meeting will be much better used doing things other than finding out basic information about the team and ownership. I am usually willing to give up to an hour of mentoring/feedback to people with business ideas – at a time/place convenient to me – provided I am not involved in anything competitive. This is not a promise. Sometimes people annoy me so much with their approach that I decide not to meet them at all. Sometimes I encourage people to attend events I am going to be at anyway, so that we get a few minutes to chat. Often 5 minutes is enough for me to tell whether I can be of any use. The questions I ask are ones that all professional investors will ask so it is not a waste of time to answer my questions. I do not promise to find time for a call, meet, get involved in giving feedback about why I don’t want to meet after I get the information requested in this post. The questions and answers you provide are to help me decide if I want to do that. I don’t want to focus time and energy on projects that are not going to happen. Obviously if things have changed “Hi Richard – 6 months ago you asked us whether we had working product, a team and at least 5 potential committed clients. Back then we didn’t – and you were right to send us away. The good news is we’ve done all of that and more” then I’ll be glad to take another look. Because the situations of people approaching me vary so much please be aware of the fact that some of what I suggest below may not fit your situation. If this is the case, just skip or move on to questions that are relevant to you. Clients and potential clients People often ask me what I think about their idea. I always tell them ‘it doesn’t matter what I think nearly as much as what clients and potential clients think’, and and I ask them what they have done to get this information from clients and potential clients. If I am told “we have interviewed 10 directors of companies who we want to sell to and they all say that they are very interested in purchasing at the kind of prices we want to charge” it not only is impressive it also tells me that the person I am talking to is well organised and has the self confidence to get out there and talk to people. Why? What’s the big idea? The vision. Why are you doing it? What and whose problems are you aiming to solve, what pain points are you addressing. What is it that makes a) your users b) people who will send you money really appreciate what you do. Long term value of clients/repeat revenue. This can be hard to estimate for a startup, but you have to do it. If you sell post cards to tourists, the chances of repeat business are almost zero. If you sell premium (expensive) dog food to wealthy people who you can persuade that your dog food is the one their dog prefers, the repeat revenue may be very high. If you sell post cards to shops that sell them to tourists, you have a good chance of repeat revenue if they find your cards easy to sell and make a good margin on them. If you sell jet engines to Airbus, and each one comes with a high price service contract, it is obvious there will be repeat revenue. How are you doing? How are you making/going to make money? If your business is already underway please describe how you got to where you are now, what the key processes are (how you get clients, deliver your product or service and make money), and what you expect from me. Please send me basic facts, your trading history: costs, revenues and profits, number of employees, and ownership. A simple spreadsheet showing past and planned future costs is often very useful. There is a useful concept of Unit Economics, which is very simply. what are the costs of making/doing the thing you sell, and how much do you charge for it. If you are a real estate agent, and the cost of visiting, documenting, describing, promoting, and showing potential clients a property, and handling paperwork if there is sale is US$400 and you make $2000 if there is a transaction, you are making $1600 per deal, it becomes obvious how many sales you need to make to cover your fixed costs and start making money. If you are losing money, don’t expect an investor to bail you out, unless some dramatic change is about to happen that you can explain. If you have not started yet, describe your planned business model, how you are going to make money and how far you have got already. If you haven’t thought about how you are going to organise your business so that your costs are much less than your revenues, please do so before we meet. If you are at the stage of “once we have traffic we should be able to make money” I am not that interested unless you explain how. You above all people should be thinking, brainstorming and testing ideas in this area. Costs A tough area for many entrepreneurs is the issue of ‘founder salaries’. It is important to address this. If you have been working for free in your spare time and ‘post investment’ are planning to go full time then you may not know how much to suggest. A rule of thumb is that until you are making a profit, approximately 50% of what you were making on a salary might be reasonable unless you are a developer. Investors won’t like the idea of you being too comfortable on the back of your take home pay from your startup. Results related bonuses, and salaries that rise as the company goes through agreed milestones make a lot of sense. Competition – who are you competing against in your home market and internationally? Who is dangerous to you now and how are or can you be better than them? If you haven’t searched and checked who is doing this in foreign countries, do it now. Don’t show up to a meeting before you have tried to buy what you are thinking of selling on mfg.com, Ebay.com, Amazon.com and via a simple google searches. You may think you are the first person to have thought of renting out dogs You are wrong. Years ago I posted this Now Will Bunker who made his fortune in a dating site has invested in Borrow My Doggy which charges both the dog owner and borrower for the transaction and unsurprisingly is making money. A great example of it being more important to execute on an idea than be the one who has the idea first. Strategic plan. How will you grow in terms of geographical spread and product/service offerings. Benefits for investors. How am I, and other investors, going to make money? End game. Are you going to exit? If so how, when, who are your potential buyers ? Ownership/shareholders/Team: key team members etc. who apart from you is part of your set up? Gaps what do you lack/what are your weaknesses/challenges? What else do you need that you don’t have today, and what are you doing to address them? As Gary Vaynerchuk says, self-awareness is a vital business skill. Barriers to entry if you start turning into a high profit business. what is to stop others entering the market? Dangers and threats. how could it “all go wrong”? My role. How can I help you ? What is the main reason you approached me? (Kibera is one of the biggest slums in Africa (near Nairobi in Kenya). though I recommend watching the whole video. 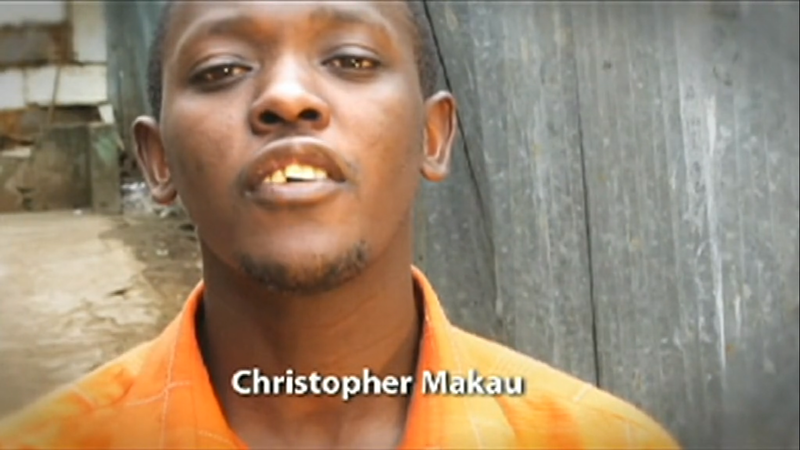 CM My name is Christopher Makau first born, we are four boys second born dead four years ago, born and raised in Kibera. I have attended school in Kibera informal primary school near the Nairobi dam fews years ago it was carried away by rain water.. I was introduced to Suraj, by Bastiaan my friend from Holland while they were doing their Peepoo project which I was part of the team. Suraj pass the idea and I felt that it was good and we started talking more and eventually we organized TEDxKibera and we received a lot of positive respond from the community and the entire ted global audience. My life has changed in term of being focus and ready to push myself to achieve my ideas and putting them into action becoming a doer. It will take a while to really to say how many people are changing life because of the event but we are seeing positive results starting with me as an example. RL Did the fact that you appeared on Chris Anderson’s TED talk make a difference to you personally, do people in Kibera and Nairobi realise that your face is known all over the world thanks to TED? CM Appearing in Chris Anderson’s TED talk made me famous (especially in TED audience) and it was wonderful to received such respond from the audience who were watching, Only few people in Kibera and handful of nairobian know that i’m so famous. It meant that I met CHRIS ANDERSON WHEN HE WAS IN KENYA. CM TED is well received but it need a lot to make it accepted in the community that my thought we need themes and talks relating to the people for example talks done by Obama, Raila and other prominent people in Africa Safaricom CEO Equity such people. RL I believe that you had to drop out of school for financial reasons. That’s what I understood from Bastiaan who helped make and sell the book that was connected with fund raising. What was the story there, was your experience typical? CM It is a long story. I was raised by my mum with the help of my aunt with whom I still live.my mother had to go to live in rural area because she could not afford to pay rent of about eight hundred per month, with the help of family member I was able to complete my secondary school education and college for certificate and diploma in business management. I was to continue with diploma part two but the family member who supported me could not afford to pay so I had to be content with that until Bastiaan come along and wrote the book (about Kibera for fund-raising purposes), and as a consequence I am currently doing my graduate diploma. RLWhat do you think of low cost private schools in Kibera and Kenya compared to free ones provided by the government? In the rich countries of Europe and North America it is often not clear why people on such low incomes choose private schools rather than go to free government schools. CM: Everyone needs a good education – the main reason why people go for private school, a lot of students are enrolled in government schools: one teacher to 80 student. The quality of education is low compared to private schools. RL You decided to go into business. Was that because you prefer it compared to having a regular job or are regular job just hard to get or too badly paid? CM I’m not in business yet but currently employed as logistic guy running errands and managing logistic and providing solution to business with logistic problems. I plan to invest in these business financially later on but for now I have invest in the idea. RL The book might help people understand what life in Kibera is like, but for people reading this in rich European or American countries who haven’t seen it, what are the biggest and most important issues about life in Kibera for people in your situation that they should understand? Apart from toilet issue, drainage problems and poor housing nothing much. Lot has been written about Kibera but on 10% is true but 90% all lies, you need to see smiling faces around passing along the street of Kibera full of hope of a better tomorrow an indication of a society which we need to believe in. You’ve build up and now sold a well known company Branded3, to a major multinational. St Ives Group. congratulations. It is the textbook success story. Read more here. This interviews aims to cover the background story of your personal story before starting on your business career, pick out some key moments and insights, discuss any lessons that can be learned, and give advice/tips to people who might be inspired by your story. RL. As I understand it you were an freelance SEO consultant who then formed Branded3 and built it up to market success. Is this a correct summary? Does this leave anything out in your professional history that you think is important, if so what? PA Before becoming a freelance consultant I worked for a small insurance company and spent a few years learning how to do SEO for their website. This was hugely valuable hands on experience and as the site started ranking higher I setup a mobile phone affiliate website and started to make good money from affiliate marketing. This gave me the impetus to leave my day job and try to make a living online. Being a freelance SEO is tough so after 6 months I joined up with Vin at Branded3 to build the SEO part of the agency. Initially this was a separate company but the two were merged in 2011. RL Did you plan your the business development from the very start, or was it more a question of “build a successful company” and see what happens? PA We always planned to sell the business because we feel that being part of a larger group is a far better way to grow and build a long term sustainable business at scale. 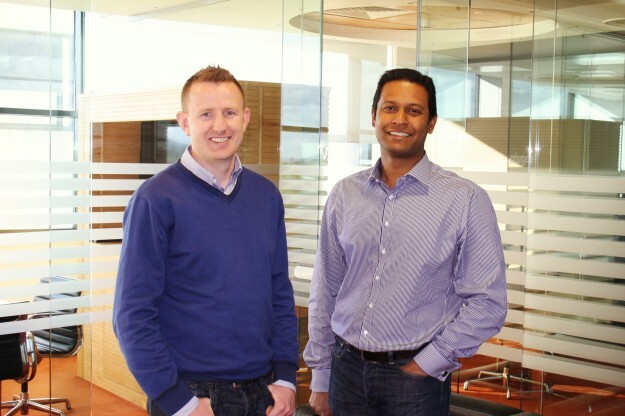 Our plan has always been to reach 100 people with £10m+ turnover and this is tough to achieve as an independent company. RL Did you always see yourself as an entrepreneur who wanted to do your own thing? if yes, when were you first aware of it if not when did this change and you start to consider it? PA I did consider it after university but looking back that would have been the wrong option. I did want to start a company but had no idea how to go about it until I’d worked somewhere else. RL who were your role models or heroes you benchmarked yourself against in your family or from the media when you were young, if there were none were there any people you did not want to be like, and why? 4. did you have support and/or encouragement from school, university family, institutions and friends, In what ways were you encouraged or deterred from taking the entrepreneurial road. PA School and university didn’t offer any help at all with being an entrepreneur. I did business studies at school and hated it as the lessons were boring and focused on finance, business plans and accountancy. For me business is about product and marketing which is far more interesting. The education system in the UK does nothing to encourage people to build companies which is one of the reasons so many young people are unemployed spending their time job hunting rather than trying to build a business. RL . Were there any skills or abilities that you discovered you lacked that would have been helpful earlier on, and were there any particular insights you had early on in your life that helped you to take the right decisions ? PA The key thing that school and university doesn’t prepare you for is meeting people and how to handle pitches and general business meetings. Perhaps this was down to the course I chose (Physics) but this was certainly a steep learning curve when we started Branded3. RL Moving on to questions about your professional success as an SEO expert and business leader. We were first in contact when I found you through your blog Blogstorm in 2007, and you did a small study for PMR I believe you started it in 2006? When you started the blog did you have a clear goals, and how did they evolve over time? Did you know that it would be such an effective way of building your reputation? PA I started the blog specifically as a channel to drive new customers so I did have a clear goal and plan. I didn’t know how big it would be however there were not many good SEO blogs back then especially in the UK so it was a lot easier to stand out. Also it was before twitter was sapping the attention of the SEO industry so blogs were far more important. RL. Did you know back then that you really had ideas worth sharing? There were lots of people around claiming to be good at SEO. Were you sure that you were better than the average? PA I had been a member on a forum called Digital Point for a few years and had a few thousand posts from helping others with SEO so I had a good idea of what people wanted assistance with and that I knew the answers. RL . How much of your success is about being good at communication with non specialists (like me), and how far is it other factors, if so what were they. PA Communication is a big part of SEO and it’s important to be a straight talker rather than trying to blind people with technical terms but the most important factor in our success is down to the fact we wanted to do things the right way when so many other SEO agencies were using poor quality SEO work and ripping off customers. This made us stand out in a crowded market until the rest of the market started to clean up a year or two ago. RL it is easy for anyone to claim they are an SEO expert… What do you look for if you are trying to figure out if someone really knows the topic well. PA The most important thing is to look at what the person is actually doing day to day. Anybody can talk about the importance of building good links from online PR and how to technically optimise a site but unless they are actually doing this and delivering results for clients or their own site/business then it’s hard for them to be credible as an expert. RL In a sense an blog about SEO that is not in the top ten results in Google is not credible. How much work did you put into making your blog popular, and what did you do to promote it? What SEO techniques did you use to make sure people could find it? PA I didn’t do much SEO aside from the usual WordPress blog optimisations but the key reason for the success was getting quality links from sites like the BBC, Techcrunch and thousands of other top blogs. I also drove huge amounts of traffic from social sites like Digg in the days when these sites were popular. I would say that the credibility of a blog is unrelated to where it ranks on Google it’s more about the content and readership. PA It is harder to start a blog now but mainly down to the fact that most things especially in the SEO industry have already been written about rather than the fact there is a lot of competition. My advice would be to focus on something specific that has not had a lot of attention and target that as a niche. It’s not easy though because peoples attention is a lot less these days with the sheer number of blog posts and tweets sent every day. RL. What were your biggest challenges in building up a business and how did you address them? What were the biggest surprises and if you were to do it again what would you do differently? PA The biggest challenge has always been delivering results for clients, it’s always been something we are good at but it’s still the thing that consumes most of our time and thoughts every single day. Winning business and hiring the right staff are always challenges that can be overcome but in the SEO industry it’s all about results and this is the biggest challenge for any SEO agency. RL Finally in terms of getting up to speed and staying up to date with “search” in terms of professional expertise Search and SEO is a rapidly evolving area, If someone reading this interview wants to become a) reasonably proficient b) a real expert what would you recommend (other than reading your blog) Someone can start with a search like this but what do you recommend? PA The best thing is to read Moz.com and searchengineland.com as well as learning everything you can about technical onsite SEO, usability/design and how PR works to drive links. RL. Do experts such as yourself have access to inside information for example through personal relationships with people in key organisations like Google and Facebook, or is it possible for someone with the right attitude and motivation to become really good at search simply by working hard at it and reading, listening and reviewing what the right sources of know how and data ? We do have access to certain contacts at Google but these are used very rarely for client issues and we certainly don’t get any inside information. The funny thing about SEO is that there are very few secret tactics (other than ones that work for short term wins) and it really is pretty simple. RL. Are there any controversies, trends or issues that you think are going to fundamentally change the way people and businesses design and build web sites so that they can be found through organic search that we should be aware of. PA The biggest change is the focus on searcher satisfaction. If your site isn’t satisfying users then the next few years will be very tough for you. RL. If someone was looking for niche areas within the world of search to specialise in where you expect people and companies to be really challenged, and looking for help what would they be. PA Digital PR is a growing area and one that SEO agencies are not very good at yet. We solve the issue by hiring from PR agencies but smaller teams might not have that option. RL . Who do you regard as the best experts to follow in the world of search. whose opinions you always take seriously, even if you disagree with them? Finally Is there anything else that you would like to share with people reading this interview ? PA The most important factor in the growth of Branded3 is that we focussed on one thing – doing a great job for clients. Everything else fell into place once we built a marketing and operational strategy around this goal. I keep on hearing about how I need to “get out there, go to business networking meetings and network” but I have never had any experience and don’t know what exactly I should do. Don’t worry – you are asking sensible questions. You are not the first and will not be the last person to struggle with “how to network”. The first thing to do is to relax. By even thinking about this topic you have put yourself in the top 10% of the population. Many people either never go to such things, or when they do, they don’t know what to do. The first thing to think about is “what are your objectives?” “Networking” is not an objective in itself. If you are not into software for power stations a “software for power stations” networking event doesn’t make much sense, unless you are going there for cheap food (try to find a new partner), or if you want to sell services that people in that industry might buy, in which case you could do market research. –	practice your public speaking skills (if there is a chance to ask questions to speakers. Primary School/a law student/a civil servant/a farmer/(insert as appropriate), what can I offer?” and the answer is that everyone can offer something. If you are at school you can help companies that want to sell things to school children find out what kids think. An 11 year old came second in Start Up Weekend Krakow, after presenting in English to 250 people on a Sunday evening. The underlying rule of networking is “be useful”. Keep in mind what you want, but get practice at asking good questions, find out what is on other people’s minds, and get them talking all the while thinking about how you might be able to help them. There is no secret about how to talk to a business person, or a would be entrepreneur about their idea, ask open questions, not yes.no questions, but the famous who what where why when type questions which inevitably get the other person talking. Ask about the 3 Cs (clients competition and costs) the three Ps (people products and processes) and their strategy. Ask what makes their business or idea special, and how they will keep sustainable competitive advantage. You will learn a lot simply from listening to people’s answers. Not everyone will be smart, not everyone will be clear, but this is not a game of “whose the smartest” it’s a process of trying to understand what makes this person/organisation succeed or believe that he can..
For “beginners in the networking game” the hardest thing may be to imagine how actually get into those first conversations. Start right away in the queue to get in.. Opening lines, like “This is my first time at this type of event, what made you decide to come this evening?” should get people talking. If there is a group of people talking you can often join their circle will a simple line like “May I join you. ?” It’s my first time, I don’t know many people here..
It‘s good to have a short clear “personal pitch” to fall back on when inevitably other people start asking you about your background. If you have something prepared it will help you because it will make you more confident. You don’t have kick off with “I’m just a student”,. You can start with, “Well I’ve got one or two business ideas but I’m really here to learn, and hopefully get some feedback on what other people think about them. “ Or “I’m a technical person, and feel I a weak in sales knowledge so I want to meet sales people and hopefully get some coaching, and ideas”. It makes such a positive impression if you can just give the impression of being well prepared and confident. It is good idea to introduce yourself to the organisers: again. think about how you can be helpful “I’m part of the SGH Student Club” is there any way we can help you? “ , and when you are leaving say thank you. Few people do and it is always appreciated. Some events like Hive53 in Krakow have “community announcements”. If there are opportunities like this, think how you can exploit them/to get your message across and build your personal brand. Think of something to say, notice what the other announcements are being made. You can always go up to the people making announcements and use that as an reason to get into conversation. Obviously, you may have networking events where you feel you achieved little. Failure and success are two sides of the same coin. If a thing is worth doing, there has to be a risk of a bad outcome too. If you have the misfortune to spend your networking evening with boring, corrupt, xenophobic homophobes with body odour and halitosis, at least you can go home feeling happy that the evening is over and you are not like them. ciągle słyszę, że powinienem „wyjść do ludzi, chodzić na spotkania networkingowe i budować sieć kontaktów”, ale nie mam w tym doświadczenia i nie wiem, z czym to się je. Nie mam jeszcze firmy, ani nawet poprawnie sformułowanego pomysłu na biznes. Jak kroki mam przedsięwziąć? Co na takich spotkaniach networkingowych się robi? Martwię się, że po prostu zmarnuję czas. Nie przejmuj się – zadajesz sensowne pytania. Nie jesteś ani pierwszą ani ostatnią osobą borykającą się z problemem „jak budować swoją sieć kontaktów”. Po pierwsze, nie spinaj się. Już to, że w ogóle myślisz na ten temat, wyróżnia cię od 90% społeczeństwa, które tego nie robi. Wielu nigdy nie próbuje uczestniczyć w spotkaniach networkingowych, a nawet jeśli tam idą, nie wiedzą, co robić. Na imprezach typu „business-mixer” występuje zwykle jakiś mówca, są ogłoszenia branżowe, motyw przewodni i określona tematyka. Aranżowane są krótkie wystąpienia uczestników w rodzaju „elevator pitch”. Zanim udasz się na spotkanie, powinieneś przygotować się do niego jak najlepiej, biorąc pod uwagę powyższe elementy. Niektóre wydarzenia, jak Open Coffee Kraków, mają internetowy system umożliwiający podejrzenie, kto wybiera się na spotkanie, co oferuje i czego szuka. Najpierw trzeba zadać sobie pytanie: „Jakie są moje cele?”. Uczestnictwo w spotkaniu nie jest celem samym w sobie. Jeśli nie działasz w sektorze oprogramowania dla elektrowni, pójście na imprezę o tematyce „oprogramowanie dla elektrowni” trąci nonsensem, chyba, że idziesz tam z myślą o tanim jedzeniu (spróbuj znaleźć nowego partnera/małżonka). Jeśli chcesz sprzedać usługi, których mogą potrzebować ludzie z tej branży, wypadałoby poprzedzić udział w spotkaniu dokładnym researchem. trenować swoje umiejętności wystąpień publicznych (jeśli będzie możliwość zadawania pytań mówcom). Prócz myślenia o tym, czego chcesz, musisz także zastanowić się, co możesz zaoferować. Całkowicie chybione (ale bardzo częste niestety) jest myślenie: „Jestem tylko uczniem/studentem prawa/urzędnikiem państwowym/rolnikiem/(wstaw swój kompleks? ), cóż miałbym do zaoferowania?” Jeśli chodzisz do szkoły, możesz pomóc firmom planującym sprzedawać produkty uczniom dowiedzieć się, co sądzi o nich grupa docelowa. Drugie miejsce na StartUp Weekend Kraków zajął jedenastolatek, który pewnego niedzielnego wieczoru wygłosił prezentację po angielsku do 250 osób (pitch Krystiana). Podstawowa zasada networkingu to „bądź użyteczny”. Zawsze pamiętaj o swoich celach, ale ćwicz zadawanie dobrych pytań, dowiaduj się o czym myślą inni i spraw, by opowiadali Ci o sobie, cały czas zastanawiając się, jak mógłbyś im pomóc. Nie ma żadnego tajemnego sposobu rozmawiania z biznesmenem lub aspirującym przedsiębiorcą o jego pomysłach. Zadawaj pytania otwarte, czyli takie, na które nie da się odpowiedzieć krótkim „tak” lub „nie”, zaczynające się od słów: kto, co, gdzie, dlaczego, kiedy. Zmuszają one drugą osobę do większego otwarcia się. Pytaj o 3 K (klientów, konkurencję, koszty), 3 P (personel, produkty, procesy) i ich strategię. Pytaj, co wyróżnia ich pomysł na biznes i jak chcą utrzymać trwałą przewagę konkurencyjną. Nauczysz się wiele, po prostu słuchając odpowiedzi innych. Nie wszyscy będą mędrcami, nie wszyscy będą wyrażać się jasno, ale nie chodzi tu o konkurs na inteligenta roku, tylko o proces mający na celu zrozumienie tego, co sprawia, że dana osoba/organizacja odnosi sukces, lub wierzy w to, że może go odnieść. Dobrze jest mieć opracowaną krótką i przejrzystą „mowę na swój temat”, po którą będziesz mógł sięgnąć, gdy inni zaczną zadawać pytania dotyczące Ciebie. Wcześniej przygotowane zdania pomogą – uczynią Cię bardziej pewnym siebie. Nie musisz wypalać z tekstem: „Jestem tylko studentem”. Możesz zacząć od: „Cóż, mam parę pomysłów, ale tak naprawdę przyszedłem tu, by się czegoś nauczyć i ewentualnie dowiedzieć się, co inni o nich myślą”, albo: „Jestem raczej techniczny i słabo się czuję w tematach sprzedażowych, więc mam nadzieję poznać doświadczonych handlowców i uzyskać od nich trochę porad lub pomysłów”. Wywrzesz bardzo pozytywne wrażenie, jeśli pokażesz, że jesteś dobrze przygotowany i pewny siebie. Dobrym pomysłem jest przedstawienie się organizatorom: tutaj też myśl o tym, w jaki sposób możesz być pomocny: „Jestem członkiem Koła Studenckiego na SGH. Czy możemy jakoś Was wspomóc?”, a gdy wychodzisz, podziękuj im. Niewielu to robi, a jest to zawsze mile widziane. W czasie niektórych wydarzeń, jak Hive53 w Krakowie, jest wyznaczony czas na branżowe „ogłoszenia parafialne”. Jeśli będzie taki punkt programu, pomyśl, jak wykorzystać go do swoich celów i budowania swojej marki. Przemyśl, co chcesz powiedzieć i słuchaj innych ogłoszeń. Zawsze możesz potem podejść do osób, które je wygłaszały i od ich tematu rozpocząć rozmowę. Naturalnym jest, że po niektórych spotkaniach networkingowych możesz mieć uczucie, że niewiele udało Ci się osiągnąć. Porażka i sukces to dwie strony tej samej monety. Jeśli wkładasz w coś wysiłek, zawsze istnieje ryzyko, że zostanie on zmarnowany. Nawet jeśli będziesz miał pecha i spędzisz networkingowy wieczór w otoczeniu nudnych, skorumpowanych, ksenofobicznych homofobów o nieświeżym oddechu i wydzielających intensywny odór potu, możesz przynajmniej iść do domu z uczuciem ulgi, że wieczór już się skończył, i że nie pasowałeś do takiego towarzystwa. This post was published from the PMR web site from 2007. This article should be useful to companies designing or running internship programs, who want make them successful, and to interns who want to make sure that they end up in the right sort of company where they are appreciated and valued. For interns, few things in life are as demoralising as being ready to commit and help an organisation only to find that the company is not interested or aware of their commitment and potential contribution. Interns are sometimes regarded asa a cheap/free resource meaning they behave as if it doesn’t seem to really matter much. 1. Internships are a highly visible and public way of spreading information about your corporate culture and company among active and ambitious students around the world. If you mess interns around, you are destroying value and your reputation. 2 Internships are a very cost effective way of conducting long term recruitment. There is easily time during an internship to assess whether an individual has the potential to make a long term contribution to the company and is a real high flier. In a standard recruitment exercise executives get an hour or two with the candidates before taking a decision that is expensive for the company and can be life changing for the candidate. In an internship, there are several months in which both intern and company can check each other out. 3. Interns tend to be young, full of energy, and are capable of making a valuable contribution to a company with a new perspective, and may have time to work on special projects that regular staff are too busy to look into. 4. Interns are people. Interns are not as experienced as long standing key employees, but they are still human beings. Just as you can assess the character of successful person by the way they treat people in “low status” jobs, a good indicator of a company’s core values is how it treats “low status” positions. If no one cares about the interns, then there is something badly wrong with your company. For interns – finding and working in a good company can change their experience from being a way to get something useful looking on the CV/resume to a life changing experience. What can a prospective intern do to avoid being stuck in a Dilbert www.dilbert.com style company? Whatever it is, it’s obviously good to think it through, and know what you are looking for. You are far more likely to get what you want if you define it in your own mind first and act accordingly. Going through an organisation like AIESEC to a thriving lively city (like Cracow in Poland where PMR is headquartered) means that you arrive to a city with an instant network of people to be with, from different parts of the world. Even if the internship is really dull at least you have a bunch of people to hang out and grumble with. Remember that recruitment is a two way process. It may seem like there are hundreds of candidates and a few good companies, but equally there are only a few good interns and hundreds of companies are interested in hiring them. A good company certainly has senior people actively looking for good people all the time. If there is a specialised human resource function, they should be able to tell you how it works in their company. If a company or organisation does not have the time or culture of answering straight forward questions from you when you are considering who to work for, what is it going to be like when you get there? If you are going for an “A brand” employer like Goldman Sachs, The Economist, Deutsche Bank, Wahaha, Mitsubishi, or SAB Miller things are different in two ways. There can be a power imbalance meaning that the people dealing with interns in the well known company have the “you are so lucky to work here” mentality, and don’t appreciate being quizzed about what actually happens to interns. If this is the case, maybe you should steer clear and work somewhere where you will be appreciated. The other more obvious point is that you will have a lot of competition and need to be a bit smarter than average to get in as an intern. For example: A Chinese speaking student might be more valuable to a consulting company not in China which needs the skills more badly than companies in China. Think about what you’ve got that the average person hasn’t and to whom that might be valuable Check if any of the senior executives of your target companies have publications, speeches, presentations, Linkedin profiles, blogs and so on. Approaching them first rather than going direct to the HR dept can differentiate you completely from the average candidate. If the intern program manager gets an e-mail from you saying “I am writing to you on the recommendation of the CEO /Director of international marketing /whatever” it obviously improves your chances. Do your homework/research. Use company web pages, Facebook, Linkedin, the Blogosphere, Google and personal and institutional networks to research the company, country, town, function and position. It is much easier than it ever has been to get information about companies and the culture of the internet makes it feasible to ask people questions. If you are a member of www.aiesec.org or another “internship” type organisation, they will have alumni associations and through them it should be possible to make contact with interns from previous years. The questions become very obvious. “Which companies are good for an intern in town X for someone who wants to get experience in Y?” The more knowledge you display of your target company in your application the better (“I can help with your latest project launch as per your web site”) looks very powerful in an application. What does an internship look like? Does the company have a defined concept of what interns are for and what will happen to them. The “cheap labour so it doesn’t matter” attitude is the one to be most sensitive to. No one will tell you that openly so you have to read between the lines. If there is no policy and program for interns, it increases the chances that no one cares. An intern should know what sort of tasks can be expected and it is good to have a project or some tasks where if they make an effort it is clear that they have succeeded in something. Is internship a route to job offer? A good company will screen interns early on after they join to assess if they have the potential to be a long term employee. The definition of a high flier will mean different things in different companies. At PMR we are looking for people who are friendly, with high levels of energy and commitment, intelligence, a willingness to work hard and acquire new skills, who are ambitious but not arrogant. If an intern is doing well, does the company have a means of making sure they get to meet staff who can take a decision to hire them. Are interns treated as employees, invited to company social events, formally induced and introduced to the company. Not every smaller company will have as formal a policy as Microsoft, where there are special codes for interns t-john.smith@microsoft.com . For a description of how Microsoft intern Jeff Maurone experienced being invited to dinner with Bill Gates click here . Anyone who has read about Bill Gates involvement and attitude to recruitment may reflect on the degree to which his active example of leadership in high flier recruitment may be part of the Microsoft’s success. The nightmare situation that interns can find themselves in is sitting at a desk in a large office, being referred to as “the intern” and not being introduced to anyone. Any company that treats a human being as a noun is to be avoided. Going to company parties and social events is a way of getting to know other staff and departments, and for the intern to decide if this is the sort of place they want to work. If they are doing well, the word should have spread around and it is a chance to build a network even before the job offer comes in. Here are some questions to keep in mind. What happens at the end of an internship? A good company will review what went well and badly, and how the person feels about their experience. No company or organisation is perfect and the first step to continuous improvement is assessment of what is going on and has happened. A good company will be open to constructive criticism and feedback. Is the company you are applying to doing well, thriving and prospering? Many people do not think about this issue when they are job hunting, for whom it is even more relevant than for an intern. Not all companies are doing well in the basic business sense of making healthy profits and having happy clients and staff. If there are problems with profitability, and falling sales, is likely to impact on the atmosphere and the difference that you can make. At the very simplest level, it may well be that your supervisors are firefighting or worrying about job cuts rather than paying you attention. Equally if you have a project to do there may be less money available to pay for research or travel connected to it. Can you have the e-mail and phone numbers of previous interns to talk to them? If the company and intern program is good this will not be a problem at all, and indeed it is highly likely that some of the people whose contact details you are given will be full time employees who joined the company through the intern route. Any company that makes difficulties or cannot give you good reasons should be Googled for example with the company name and “boring internship” as key words. My first full time job was with Westland Helicopters in Yeovil, England in 1984, and I was very critical of the experience (it was one of the things that led me to consider setting up businesses of my own). I was very keen to work hard and had only a few challenging tasks while I was there. With hindsight in some ways I was too demanding of the company and had little concept of the pressures of being a European defence contractor at a time of recession with huge pressure on military budgets. I didn’t have experienced people giving me advice at the time. What I tell people now, is what I wish someone had told me then and in my view, give a view to the attitude that makes for a successful intern (or staff member of a good company). In my view, it is vital to have a “get your hands dirty” attitude. The “get your hands dirty” attitude means a willingness to take the rough with the smooth, doing dull stuff with a positive attitude without thinking “someone else ought to do this – I am too important/talented because I am a student at a top university.” Good senior managers usually got there because they were ready to do the tough stuff, and will notice if you get stuck in. A good attitude also means that you think and contribute your own ideas to the company, making suggestions and asking questions. I don’t think I can do a better job than Steve Jobs – speaking to Stanford graduates as they started their time at university. I strongly encourage you to watch the whole 15 minute speech, which can influence the way you live. Many people who have seen this lecture talk about it, though some find it somewhat idealistic. Students who are considering an internship or employees of a company that has internships reading this article should aim high as possible. Steve Jobs argues that no one should settle for less than the best, which means to him doing things that that they love doing. If you work for a company, review your intern processes to make sure that they are as good as they possibly can be. The trigger for writing this article was meeting clearly intelligent and motivated interns in AIESEC Krakow complaining about the boring time they were having in their companies. If you want to be an intern, take the effort to find a great company and fight like a tiger to get in. On Wednesday 24th April 2013 Krakow voted to give permission for a statue in Park Jordana and the next day an event was held in Krakow Town Hall with Professor Wojtek Narebski and Professor Norman Davies to publicize this fact. Kazimierz Cholewa, the director of Park Jordana, has prepared a plan of how to proceed. This article summarises the “Wojtek the soldier bear” project as I see it – the story so far – the mistakes I’ve made the lessons I’ve learned. In an article of this length there will be omissions and mistakes. If someone somewhere feels unfairly treated, or inappropriately described, I am sorry and will make corrections, or publish their commentary. At the end of the article I will copy paste the “about us” from the Wojtek group on Facebook, as this summarises the objectives that I set out years back. There are some individuals I want to draw attention to who have distinguished themselves through repeated effort and commitment. Dorota Kulawiak and Angela Ricommi in Imola, Italy, Wioletta Sosnowska in Żagań Poland and Wojtek Narebski in Krakow who have again and again tirelessly led projects, provided support and led initiatives. Aileen Orr’s initiative to build a statue in Scotland inspired me. She has made speeches, written a book, hosted events, travelled, lobbied and fund raised for a statue of Wojtek in Edinburgh, set up the Wojtek Memorial Trust and has done a lot to celebrate Wojtek’s memory. I had some bad experiences during this project: some unpleasant and unfair allegations about my behaviour and motivation. I’d like to thank and recognise the support I received from Edward Lucas, Kamil Tchorek and Michalina Ziemba who all sympathised with the difficulty of dealing with anonymous attacks, and unsubstantiated allegations. I decided not to fight back. If anyone reading this anywhere heard anything bad about what I was doing please give me the opportunity to defend myself, as until today, I never had that opportunity. – the journey through the Middle East to Italy and on to the UK. In the case of other civilians to camps in Africa, India, Australia and New Zealand. Early investigations of the possibilities led me to set up the Wojtek the Soldier Bear group on Facebook, which now has more than 2000 followers all over the world. As soon as I started talking to people about the statute idea I came across two issues that led me to change direction for a while. – I was not convinced that a well funded statue project would be the best way to popularize the history, which was more important to me that the statue itself. I postponed my original idea of a statue, and started supporting and encouraging Wojtek projects all over the world using low cost social media tools. A statue can be a long, complex and expensive process (the one in Scotland is reported in the media of having a budget of GBP250,000). Schools and other bodies can organise Wojtek related events at low or no cost with significant impact. Because bears are so magically attractive to children, Wojtek represented a great opportunity to get the attention of younger people. Once you have got their attention, through Wojtek, it is inevitable that some start asking and understanding how it came to be that there were hundreds of thousands of Poles in Iran in 1942. Getting to understand where Wojtek was first found, and came into contact with Poles who had been deported to Soviet camps, and later released once the USSR stopped being an ally of the Nazis. I stumbled across this when Number 72 Primary School in Krakow we did a Wojtek themed school fair. I approached the school director, she asked to present to the staff, I did and they all agreed right away to do dedicate their school “festyn” to Wojtek. Through doing this several hundred children, their teachers and parents got to hear about Wojtek and the Anders history. Professor Wojtek Narebski who remembers Wojtek from his time in the Anders Army came to the school too. I was struck by the fact that while the events I was involved in cost effort, the budgetary cost was trivial. I was and am a strong supporter of the TED.com organisation and had seen the famous Derek Sivers talk about starting a movement Schools organise fairs and events anyway. I realised that if no money was needed it was going to be possible to do something on a large scale.. The fact that I and others working on these projects were volunteers also seemed to make it more feasible to get other people to work for free. I was lucky enough to be able to afford the time and occasional travel costs for myself and others that were sometimes necessary. 3. Distribute information about events as examples of good practice both via the Facebook page and through conventional media. Other notable points about the project are. It is internationalist. Wojtek travelled through the Arab world. Palestine (now Israel), Italy and Scotland, fighting in an army made up of Poles and Jews. Wojtek never visited Poland. Wojtek projects have happened and can happen anywhere in the world. It is not just “non profit” but completely for free. No one gets paid anything for being involved. 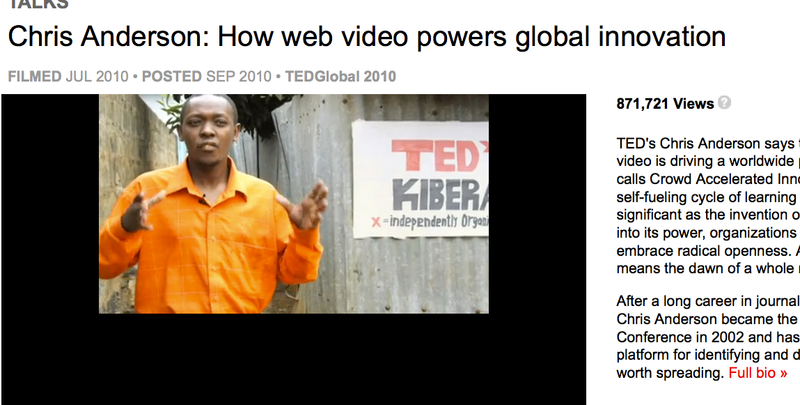 My talk at the first ever TEDxKrakow conference in 2010 was called “Organising a global movement without funding”. It is important and remarkable for me that this project is done by people who are really committed. If we do get a statue built I want it not to be paid for out of Polish or European taxes but from private funds, and as at low a cost as possible provided it looks OK. Even the fund raising can be a way to spread awareness. Even thought people give me a a lot of credit for things that have happened and I have made a significant investment of time, energy, and some money, my role is a small one. I aimed to be a catalyst and supporter, For every project that happens someone else has to be in charge. It was not just modesty when I said my role was a small one. It really was. Many of the projects below would have happened anyway,. I was not the leader or organiser. If what I did was significant it was to spread the idea and show the world that motivated individuals and groups could easily make Wojtek projects happen if they wanted to. Wojtek Narebski in Krakow, Dorota Kulawiak and Angela Riccomi in Imola Italy and Wioletta Sosnowska from Zagan Poland organised many events and projects including this And this and this and this and many many more. They also translated the Lasocki book into Italian. These individuals are anything but typical and deserve statues of their own. Simon Daley, a Scottish Police office made a war memorial in memory of the Poles and Wojtek. Strzałka Krzysztof Polish Consul in Milan, attended events/ exhibitions in Imola and Bologna. Joanna Berdyn – of Wydawnictwa Pointa – published a book by Łukasz Wierzbicki about Wojtek and organised a competition which resulted in thousands of children doing paintings of Wojtek. Raymond Ross wrote a play called Wojtek the Bear performed at the Edinburgh Fringe. There are so many activities in Zagan led by Wioletta Sosnowska that merit a separate article. A comic book verified by Wojtek Narebski, illustrated by Anna Kret a school pupils for historical accuracy, events, a statue and tireless commitment and activity. Wojtek the Soldier Bear was a 3 month old Syrian bear cub rescued by Polish soldiers of 22nd Artillery Supply Company during World War II in British occupied Iran (now Iran). This group on Facebook aims to use Wojtek’s charisma to promote non profit international co-operation between people everywhere, especially in countries where Wojtek lived, visited, or is connected to while raising awareness and promoting his story. – Raise awareness of both Wojtek’s history, and the forgotten history of deportations and survival associated with his life. – organise competitions (among children, students and adults) for paintings, drawing. singing and or composing “bear/Wpjtek” songs, statues, writing stories, doing research, interviewing people who knew him and uploading their histories onto the web. Through doing Wojtek projects we want to make people aware of the wider historical context. – building one or more statues in Cracow or elsewhere in his memory, probably through a competition for the best design. This group is decentralised and as its leader I rely completely on the contributions in terms of actions of those members who want to support its objectives. Sometimes people post about their books, politics, and animal welfare related topics. I tend not to delete these, but if it is excessive from one person then I reserve the right to form a judgement about. If you want to help its time and energy we need – not cash. in the long run, time is more valuable than money and this project proves it. He thought he was a human, lived in a tent, drank beer, ate cigarettes, wrestled with them, went for long walks and loved swimming. He was enrolled as a soldier, travelled to Italy, carried supplies during the battle of Monte Cassino, went with the soldiers to Britain after WWII and ended his days in Edinburgh zoo in Scotland. Professor Norman Davies and Anne Applebaum have given their support to our objectives. Of course any communities anywhere on the planet may have an interest. If you can make something to do with organising an event happen anywhere we will support you. I want to acknowledge Ralph Talmont, Paul Klipp, Ewa Spohn and Krystian Aparta and hundreds of other volunteers who have got the TEDx and TED movement going in Poland, and put in a huge amount of work in organising the first TEDx events and Open Translation project. Both groups are early adopters of the new world order of trust, giving and co-operation and The TED.com and TEDx Fans Travel and Meetup Club aims to bring the good things in these communities together. This meetup will be a chance to watch TED talks, learn share and integrate. Will it turn into a regular event, will it spawn spin offs and copies. It’s very much in your hands. We are using the registration system of Open Coffee Krakow but if you are not a Linkedin member, or don’t want to use this, please just register on the Couchsurfing or Facebook events. TED and TEDx are non profit, and have careful and strict rules about their brand and logo, which I support and respect. I don’t want this group to be taken over by corproate interests or do anything that TED and TEDx-ers would disapprove of “en mass”. If in the future TED start asking or requesting changes that I can comply with I certainly will do so. logical (welcome to the Lucas family). If you think this is weird, talk to some family or friend who lives among the Brits. In family and private life, as in the world of work, you will get some feedback whether you like it or not. Any business should encourage feedback from users of their products and services, potential clients, and visitors/users of their web site (as well as their partners, suppliers, and employees). Anyone reading this article should map this onto their own business world, ideas and plans and projects. You: your feelings, behaviour, performance and contribution to the world in which you live, the degree to which you are achieving your goals, and the impact your behaviour has on others. Events: over which you or others either do or don’t have control. It is best to see feedback as a source of potentially valuable information. In his international bestseller “Emotional Intelligence,” Daniel Goleman wrote about why people who were not intellectually smart were sometime more successful and happier than those who had higher IQ but lacked what he described as emotional intelligence. Emotional intelligence includes self-awareness, self-control, and the ability to see things from other people’s point of view, and empathy. In order to see things from other people’s point of view you need to know what their points of view are, and encourage them to tell you how things seem to them, listen and focus on what they really mean. If you care about the person from whom you are soliciting feedback, it is obvious why you should take notice of what they think and feel. You shouldn’t take for granted that just because you care about them (and they care about you) they will tell you. It is tempting but wrong to think, “if I’m doing anything wrong and it matters someone will tell me”. People often don’t give critical feedback without being encouraged for reasons that are simple to understand. Many people react so badly to criticism that people may assume you don’t want it and stay quiet. People give much less constructive feedback much less often than they would do if you encouraged them. And in business a dissatisfied employee may quietly look for another job, or a client look for a better vendor, rather than tell you they don’t like the way you run your meetings, or that your web site is inconvenient. But maybe you think you just “know what they are going to say” so you don’t need to ask, or you “know what they are going to say, and you don’t care” or “you know what they are going to say and you don’t want to hear it”. Even in the most extreme case, if you really don’t care what other people have to say about how you are for them, it is useful and productive for you to realise that other people’s perspectives will contain valuable information. Even if you don’t care some of the time, by asking open questions “what do you think I am getting wrong?” “how can I improve?” you give yourself useful information to use if you want to improve things on other occasions. A business may “know“ that some staff don’t always like training and social events in the evening or at weekends, but it is still good to check how widespread that feeling is. Maybe your best employees appreciate the training, and it is only the moaners who complain. If the reasons for not asking for feedback is that you are worried that it might very negative, bear in mind that people tend to be pleased to have their views taken into consideration. When Ryanair asked me what I thought of their service, I disliked them less for the fact that they let me tell them how much I disliked their ticket buying process. Additionally, if you ask what other people expect from you they may well tell you things that you weren’t expecting that were positive, and they will appreciate the fact that they you are showing an interest in them. As a younger businessman I used to hate it when I heard negative things about my ideas, and avoided such conversations. It was a mistake. I know now that it is a sign of self-confidence to ask people for their feedback and an opportunity to gain information than can be used to improve things. By initiating feedback you have control of the process. If people are giving the opportunity to give feedback it also can be a safety valve letting off pressure before a row occurs. A sister or parent who is getting more and more annoyed with you may finally explode when it doesn’t suit you and say and do things that are so annoying that you don’t really get to hear how you could have fixed the problem that caused the explosion. By having a regular feedback sessions you take control of the timing, give yourself the opportunity to deal with issues that arise in your own time, and in the place that suits you. It’s good to develop a set of questions that stimulate constructive criticism as opposed to negativity. The constructive criticism framework is just four questions. 1 What is the problem ? 3 What are the potential solutions ? 4 Which one is best? In the context of a business or a project these questions are important. but in family life a statement like “what was good and bad about the way I did things this weekend and is there anything I can do to improve also makes a huge difference to the quality of family life. A badly run and led business will most probably die. A badly functioning family does not disintegrate, it just limps on. If you have a business idea, start conversations with “please tear my idea apart”. It’s the start of getting control of your feedback process. Above all, remember that getting feedback does not mean that you have to act on it. You are still responsible for what you say and do. Czuję się poirytowana krytyką, której udzielasz mi często Ty, oraz inne osoby. Jestem zadowolona ze sposobu w jaki układam sobie życie i załatwiam swoje sprawy. Jestem przez Ciebie i innych zachęcana do bycia pewną siebie i dokonywania własnych wyborów. Nie proszę o Twoją opinię, więc bardzo proszę przestań mówić mi co myślisz o moich poczynaniach. Tak w życiu rodzinnym i osobistym, jak również w zawodowym, ludzie będą informować Cię co myślą na temat Twoich działań, niezależnie od tego, czy Ci się to podoba, czy nie. Każda firma powinna starać się pozyskać opinie ludzi kupujących i używających jej produktów oraz usług, potencjalnych klientów, a także osób odwiedzających jej stronę internetową i z niej korzystających (jak również ich partnerów, dostawców i pracowników). Analogie do własnej działalności, koncepcji świata i planów powinny być jasne. Ciebie. Twoich uczuć, zachowania, wyników pracy i przyczyniania się do kształtowania Twojego otoczenia, stopnia w jakim osiągasz swoje cele, oraz wpływu, jaki twoje zachowanie ma na innych. Innych. Co inni myślą o Tobie i Twoim zachowaniu, oraz jakie uczucia w nich wzbudzasz. Wydarzeń. Wydarzeń, których ani Ty, ani inni nie jesteście w stanie kontrolować. W swoim światowym bestsellerze „Inteligencja emocjonalna”, Daniel Goleman tłumaczy dlaczego ludzie o nieznacznych możliwościach intelektualnych odnoszą czasem większe sukcesy i są szczęśliwsi niż ci, którzy mają wyższe IQ, ale brakuje im cechy, którą nazwał inteligencją emocjonalną. Na inteligencję emocjonalną składa się samoświadomość, samokontrola, empatia i zdolność do przyjmowania punktu widzenia drugiej osoby. Aby móc zobaczyć świat z punktu widzenia innej osoby, trzeba wiedzieć gdzie ten punkt się znajduje. Zachęcając kogoś do podzielenia się jego percepcją zdarzeń należy go słuchać i skupiać się na tym, co chce przekazać. Jeśli zależy Ci na osobie od której chcesz uzyskać informację zwrotną, oczywistym jest dlaczego należy zwracać uwagę na to co myśli i jak się czuje, ale nie można zakładać, że powie Ci wszystko tylko dlatego, że Ci na niej zależy (a jej na tobie). Kuszące, lecz błędne jest myślenie, że „jeśli robię coś źle i ma to znaczenie, na pewno ktoś mi o tym powie”. Ludzie często nie udzielają krytycznej informacji zwrotnej bez zachęty, z łatwych do zrozumienia przyczyn, wszak na krytykę reagujemy źle. Ludzie przekazują dużo mniej konstruktywnych informacji zwrotnych i robią to dużo rzadziej, niż mogliby, gdybyśmy ich do tego zachęcili. Zamiast powiedzieć Ci, że nie podoba mu się sposób prowadzenia spotkań służbowych, niezadowolony pracownik może po cichu szukać innej pracy. Klient, zamiast powiedzieć Ci, że twoja strona jest niewygodna w użyciu, może poszukać lepszego dostawcy. Może po prostu zdaje Ci się, że „wiesz co chcą powiedzieć i nie musisz pytać” lub „wiesz co powiedzą i masz to gdzieś”, lub „ wiesz co powiedzą i nie chcesz tego słuchać”, więc po co się męczyć? Nawet w najbardziej ekstremalnym przypadku, gdy naprawdę nie obchodzi Cię co inni mają do powiedzenia na temat sposobu w jaki Cię widzą, jest dla Ciebie użytecznym i produktywnym, by zdać sobie sprawę, że punkt widzenia innych ludzi zawiera cenne informacje. Nawet jeśli czasem nie obchodzą Cię opinie, poprzez zadawanie pytań otwartych „co według Ciebie u mnie szwankuje”, „jak mogę się poprawić” zdobywasz cenne informacje, które możesz wykorzystać do poprawienia swoich działań w innych przypadkach. Firma może „wiedzieć”, że pracownicy nie zawsze lubią szkolenia i imprezy integracyjne odbywające się wieczorami lub w weekendy. Jeśli powody braku zabiegania o informację zwrotną są związane z obawami, że może ona być bardzo negatywna, pamiętaj, że ludzie zwykle są zadowoleni, gdy bierze się pod uwagę ich opinie. Gdy Ryanair spytał mnie co myślę o jego usługach, moja antypatia do nich zelżała nieco, gdyż mogłem powiedzieć im jak bardzo nie podobał mi się proces kupowania biletów. Dodatkowo,zapytanie czego inni od Ciebie oczekują, może dać Ci obraz rzeczy, którego się nie spodziewałeś, (możesz się doweidzieć także o pozytywach). Nie bez znaczenia będzie fakt, że zapytani docenią okazane im zainteresowanie. Będąc młodszym biznesmenem, nie znosiłem słuchać negatywnych opinii o moich pomysłach i unikałem takich rozmów. Był to ogromny błąd. Teraz wiem, że proszenie innych o informację zwrotną świadczy o pewności siebie i daje okazję uzyskania wiadomości, których można użyć do usprawnienia działań. Ważne jest, by pamiętać, że nawet duże spółki obsługujące miliony osób regularnie proszą o informacje zwrotne swoich klientów i potencjalnych klientów poprzez badania rynku. O wiele ważniejsze jest otrzymywanie takich informacji od najważniejszych ludzi w Twoim życiu, rodziny i przyjaciół. Inicjując udzielanie informacji zwrotnej kontrolujesz ten proces. Jeśli ludziom daje się okazje do przekazywania informacji zwrotnej, działa to jak wentyl bezpieczeństwa i pozwala unikać konfliktów. Siostra lub rodzic, który jest coraz bardziej zirytowany Twoim zachowaniem może w końcu wybuchnąć w nieodpowiednim momencie robiąc i mówiąc tak denerwujące rzeczy, że nawet nie będzie Ci dane usłyszeć jak możesz naprawić problem, który ten wybuch spowodował. Przeprowadzając regularne sesje pozyskiwania informacji zwrotnej przejmujesz kontrolę nad ich terminem, dajesz sobie okazję do mierzenia się z problemami w swoim tempie i w wybranym przez siebie miejscu. Dobrze jest wypracować zestaw pytań stymulujących konstruktywną krytykę w przeciwieństwie do negowania. Ramy konstruktywnej krytyki zawierają się w jedynie czterech pytaniach. 2 Jakie są przyczyny problemu? 3 Jakie są potencjalne rozwiązania? 4 Które z nich jest najlepsze? W kontekście biznesowym lub projektowym te pytania są ważne, ale w życiu rodzinnym wypowiedź w stylu „co było dobre, a co złe w moim zachowaniu w ten weekend i czy jest coś co mogę poprawić” również znacznie poprawia jakość relacji między domownikami. Źle zarządzana i kierowana firma najprawdopodobniej upadnie. Źle funkcjonująca rodzina nie znika, tylko kuleje dalej. Jeśli masz pomysł na biznes, zaczynaj rozmowy od prośby „rozerwij mój pomysł na strzępy”. Taki jest początek kontrolowania Twojego procesu pozyskiwania informacji zwrotnej. Przede wszystkim pamiętaj, że otrzymanie informacji zwrotnej nie oznacza, że musisz się do niej zastosować. Cała odpowiedzialność za Twoje czyny i słowa spoczywa na Tobie. Ludzie przekazują dużo mniej konstruktywnych informacji zwrotnych i robią to dużo rzadziej, niż mogliby, gdyby ich do tego zachęcić. Autor: Richard Lucas – przedsiębiorca i anioł biznesu. 6 firm, 400 pracowników. Od 20 lat mieszka w Polsce. 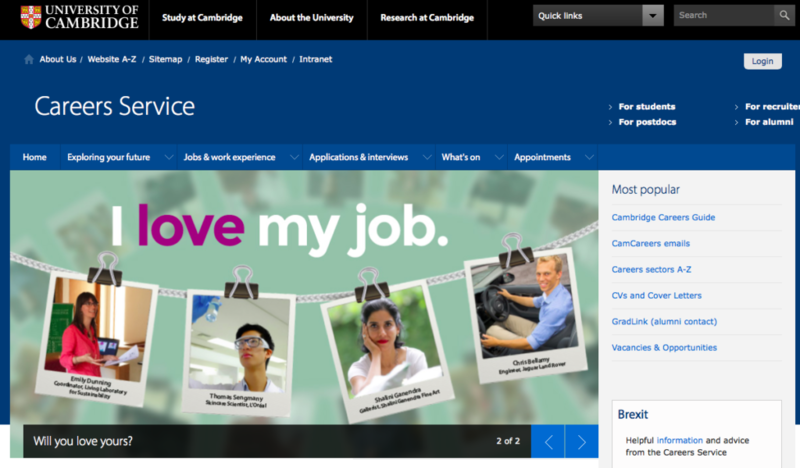 Absolwent ekonomii na Cambridge University. Wspiera środowisko start-up jako coach i mentor oraz inwestor w projektach, które pozwalają robić rzeczy lepiej, szybciej, efektywniej i ciekawiej. Mówca na TEDxKraków. „Zapytaj eksperta” to cykl praktycznych porad dla przedsiębiorców. Autorem jest Richard Lucas – przedsiębiorca, anioł biznesu, mentor i coach. Planuję swój startup i zastanawiam się nad sprawą Wizji i Misji. Niektóre firmy sprawiają wrażenie, że wciskają w nich atrakcyjnie brzmiące i budujące ich wizerunek ściemy. Z kolei inne przykłady sugerują, że te rzeczy są naprawdę ważne. Jak do „wizji” powinny podchodzić startupy i małe przedsiębiorstwa? Czy mniejsze firmy mogą mieć działającą „wizję” pozwalającą zachować elastyczność w miarę rozwoju kultury korporacyjnej i strategii? To bardzo celne pytanie. Wartości, misja i wizja są często uważane za niewiele znaczące slogany. Czasami ich krytycy mają rację. Tak jak w przypadku wszystkich działań biznesowych (lub życiowych), należy zadać sobie pytanie: po co to robisz i co chcesz osiągnąć. Pytania te odnoszą się tak samo do „Wartości, misji i wizji”. Poruszasz też kwestię właściwego momentu na wprowadzenie takich koncepcji. Czy idee, które są słuszne, gdy przedsiębiorstwo już działa i ma bezpieczną pozycję, są słuszne również przy jego założeniu? Prosperujący, dochodowy biznes jest osiągnięciem sam w sobie. Każdego roku 10% przedsiębiorstw w USA (i prawdopodobnie wszędzie indziej) upada. Jeśli biznes nie przynosi zysku, ma niezadowolonych klientów i nie może wypłacić dywidendy, nie ma znaczenia jak atrakcyjnie brzmi misja lub wizja firmy. Porażka to porażka. Właściwe wartości i wizja mogą pomóc firmie odnieść sukces, ale jeśli firmy nie ma, nie ma organizacji w której i z której można by promować wartości i wizję. Dwanaście lat temu otrzymałem bolesną nauczkę, że pierwszym i najbardziej oczywistym celem przedsiębiorstwa musi być osiąganie zysku. Traciliśmy pieniądze, co miesiąc dostawałem zastrzyki gotówki w postaci pożyczek. Prowadziliśmy fantastyczny projekt dobroczynny wspierający plemiona w Azji Południowo-Wschodniej, ale jego podstawy były wątłe. Na krótką metę inwestorzy, banki rodzina i przyjaciele mogą dostarczyć funduszy na start lub przetrwanie, ale w długim okresie to pieniądze pochodzące od klientów mają największe znaczenie. Twoja tożsamość, misja i cele nie będą znaczyć wiele jeśli nie przetrwasz. Niektórzy odnoszący sukcesy biznesmeni-przywódcy są cyniczni wobec działań typu spisywanie misji i wartości. Alan Sugar, założyciel Amstrad, właściciel Tottenham Hotspur i gospodarz programu The Apprentice (młodzi przedsiębiorcy rywalizują w nim o fundusze na rozwój działalności – przyp. tłum. ), słynny z prostoty i szczerości wypowiedzi biznesmen-celebryta, powiedział kiedyś: – Wiele firm używa chwytliwych sloganów, jak „staramy się bardziej” lub „codziennie niskie ceny”. W Amstrad mówimy po prostu „chcemy Waszych pieniędzy”. Jest to przypomnienie, że podstawowa zasada każdego biznesu, dostarczanie klientom czegoś, co cenią na tyle, by zapłacić za to z własnej woli, to wcale niełatwe zadanie. Mówi on: „Jeśli udaje nam się sprawić, byś rozstał się ze swoimi pieniędzmi, najwidoczniej robimy coś dobrze”. Pierwszą i fundamentalną odpowiedzialnością każdego przedsiębiorstwa jest dostarczanie dóbr lub usług mających wartość dla klientów, przy jednoczesnym generowaniu zysku, opłacaniu podatków, pracowników, udziałowców i dostawców. Ważne, by robić wszystko we właściwym porządku. Dla wielu startupów walka o przychody i znalezienie drogi do zyskowności jest tak pochłaniająca, że wielkie idee i wartości wydają się być cokolwiek odległe i nieistotne. Potrzeba odnoszenia sukcesów jako przedsiębiorstwo jest zawsze aktualna. Ci, którym wydaje się, że prowadzenie przedsiębiorstwa polega tylko na osiąganiu zysku, nie mówią całej prawdy, ale zysk musi mieć w nim odpowiednie miejsce, by mogło ono podejmować wszelkie inne działania. Gdy mówimy o małych przedsiębiorstwach i startupach, musimy dokładnie zdefiniować przedmiot rozważań. Budka z kurczakiem z rożna na rogu ulicy jak najbardziej jest małym przedsiębiorstwem, ale jeśli działa już od kilku lat, nie jest to startup. Założony z funduszy, atrakcyjny, mobilny, społecznościowy, lokalny dotcom z super-zespołem pod brawurowym przywództwem, będący na 6 miesięcy przed wypuszczeniem wersji beta jest startupem, nawet jeśli zebrał już więcej pieniędzy z funduszy VC niż budka z kurczakiem zarabia przez dekadę. Druga część artykułu pojawi się już w środę. Masz pytanie do autora? Zadaj je w komentarzu!